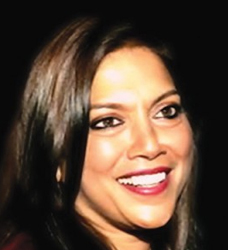 Ms Mira Nair was born in 1958 in Bhubaneshwar, Orissa. Her parents are from Punjab. At the age of 13, she attended a boarding school in Shimla, where she became a passionate student of dramatics and acted in school theatre productions. After graduating from New Delhi, she went to United States on a theater scholarship to Harvard. Mira began her career as a documentarist and later turned to commercial films. The film titled 'India Cabaret' brought her the American Film Festival Award for the best documentary of 1985. She won her first film award, the 'Golden Camera' from the Cannes Film Festival for her renowned film 'Salaam Bombay' and this film was nominated for Oscar for Best Foreign Film in 1988. Her movies, 'Mississippi Masala' won rave reviews in Europe and 'Kamasutra - A tale of love' got world wide attention for being provocative. She won the 'Golden Lion' award for her film 'Monsoon Wedding' at the Venice Film Festival in 2001. This movie narrates the happenings of a Punjabi wedding and the bride having second thoughts about her arranged marriage. It was the first time an Indian film or particularly a woman is winning the Golden Lion award in the Venice Film Festival. Mira's future projects include a Hollywood production with a film based on Edith Wharton's novel "A Mother's Recompense".